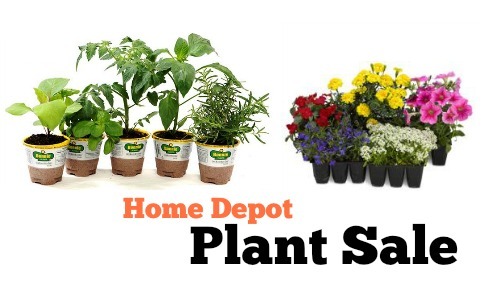 If you’re in gardening mode, head to your local Home Depot to shop a really great Home Depot Plant Sale! Get Bonnie vegetables and herbs $2 each when you buy 10 (reg. $3.68)! Looking for deals on flowers to put around your home? Home Depot is also offering Petunias, Marigolds, and Begonias in 6 pack trays for $1 each when you buy 5! Check out the Home Depot weekly ad for more details about this sale. These offers are valid in-store only.